Want to meet employers from different parts of Spain all in one day? Take part in seminars about living and teaching English in Spain. And it’s all FREE for teachers! 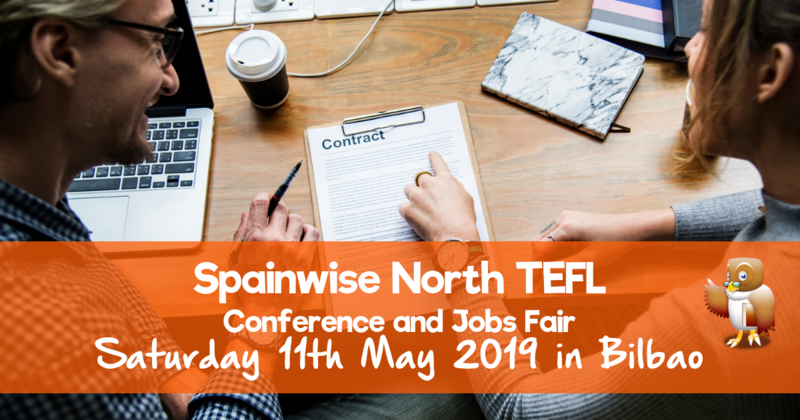 Register online today and upload your CV to the Spainwise Teacher Database. You can meet future employers face to face and interview for jobs that you want. You can also find out the recruiting schools beforehand and do some research to ensure you make the right impression right from the start. You can meet multiple employers all in one day and as all of our attendees are members of the national federation of language schools, you can be sure that they comply with employment laws and do everything above board. You can attend 15 minute presentations by participating schools to find out more about what they have to offer and how they work. You can attend 45 minute seminars given by industry experts on topics ranging from teaching to finding a job, to the legalities and paperwork required to work in Spain. You can find out about opportunities to work in the summer in camps and summer vacancies throughout Spain. You can upload your CV to a database available to recruiters for the whole academic year. And most of all…. it’s completely FREE for teachers!